Product Consist: Chocolate Date Almonds (Weight: 140 Gms), Armaf deodorant Enchanted Pearl (Weight: 200ml) along with Mothers Day Greeting Card in a Paper Bag. This Mother's Day occasion give Mom the wonderful treat of brunch with the whole family as part of her special day with gifting this adorable gift. Mothers Day is almost here, Don’t forget to show your mom how much you love her and how much she means to you. Giftacrossindia.com has handpicked and put together this amazing gift hamper for you to make celebrations of Mothers day memorable for Mom. This is a lovely hamper of gifting products of Armaf deodorant Enchanted Pearl for mom with some sweet chocolate like Chocolate Date Almond. It has Deodorant to smell exquisite. Fragrance gift is better way to gift one than smelling fresh when you are hanging out for a meeting your Kitty party etc. 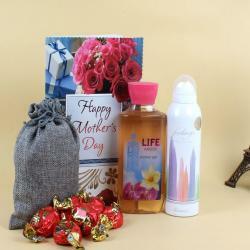 This classic hamper is perfect to delight mom to express your feelings and also make her happy and blessed. 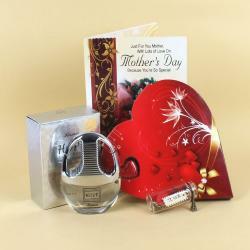 This hamper completes with sending a Mothers Day Greeting Card for your Mom. So book your order now and brighten up his face with a perfect smile. 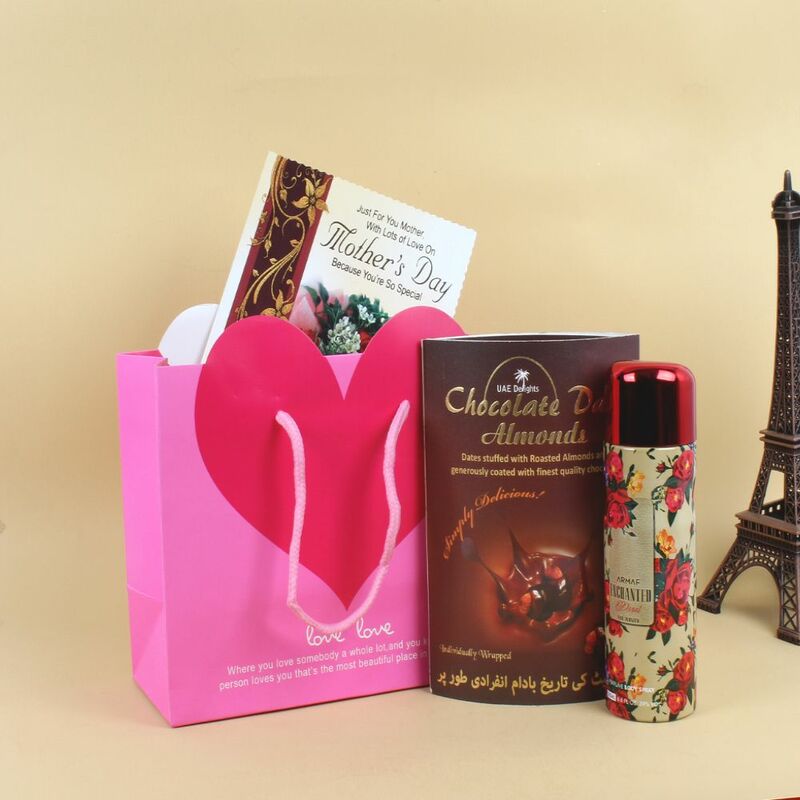 Product Consist: Chocolate Date Almonds (Weight: 140 Gms), Armaf deodorant Enchanted Pearl (Weight: 200 ml) along with Mothers Day Greeting Card in a Paper Bag.